While hearing loss is still surrounded by a bit of a stigma, this is not the case with losing your vision. Who doesn’t use glasses in this day and age, right? And though hearing and vision are both senses, that’s where the similarity ends. Losing your hearing is much different than losing your vision. Vision loss can often be corrected to a normal level with eyeglasses while hearing devices cannot restore hearing to normal. 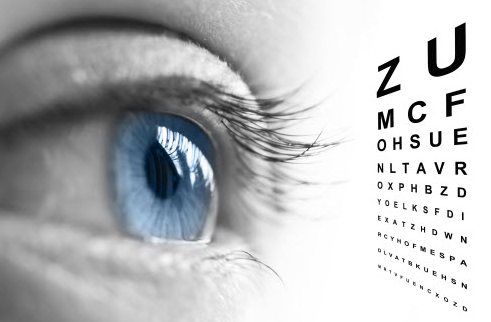 Eyesight can be corrected back to normal vision with the correct prescription eyeglasses, contact lenses or corrective eye surgery. But even though hearing device technology has improved substantially in the last 10 years, hearing aids can never repair the damage to the hair cells of the inner ear. The hair cells do not regenerate, so when they die or are damaged, the brain has a harder time interpreting the signals they send. Also, the average person unfortunately waits 7-10 years to get their first hearing aids, reducing the stimulation of sound of the brain during this time. When the hearing aids are finally fitted, the first time user often needs to retrain the brain to get used to sound stimulation again. In general, people tend to get their eyesight checked more often than their hearing, even though hearing loss can have a great impact on the mental health. Great that you reached out! The Baha 4 Sound Processor will reset to the settings programmed by your audiologist every time you switch it off or remove the battery. If you still get the high pitched sound after this, we recommend that you contact your hearing care professional to investigate if an adjustment is needed. In regards to the buttons, a short press on the middle button will switch between programs (if you have more than one program in your sound processor) and a long press on the middle button will start streaming from a mini microphone or TV streamer, if you have any of these wireless accessories paired to your sound processor. A short press on the left and right buttons are used to increase or decrease volume; the button to the front increases volume and to the back decreases. It may help you to decrease the volume somewhat to control the high pitched sound, until you get the appointment with your audiologist. You will also find more information on our support pages. Did you know that over 90 percent of a child’s vocabulary is developed just by engaging with their parents? So the single best thing an adult can do is – talk. A lot. Talk with your child, even if they aren’t yet able to respond. What do people think about the Baha Connect and the Baha Attract Systems? Question: I have lost most hearing in my left ear. My ENT and audiologist have demonstrated the Baha System, and I’m very favorably impressed. I want to decide whether to have the Baha Connect or Baha Attract method. The Baha System is indeed a great invention that has helped a number of people with conductive hearing loss, mixed hearing loss, or single-sided deafness (SSD). The Baha System has been available for over 35 years and is used by more than 120,000 people around the world. Both the Baha Attract and Baha Connect Systems are clinically proven and successfully worn by thousands of people. We recommend that you contact your hearing healthcare specialist to trial the sound processor on a Baha Softband. This will give you a good indication of the hearing experience you can expect with the Baha Attract System after surgery. Your hearing healthcare specialist is also the best person to help you choose the Baha System that best matches your individual needs and take you through the financial considirations. You can find more information on the choice between the two systems to be found in this blog post. Regarding the cost it is difficult to state a specific number as it varies from country to country. Your hearing care specialist will be able to tell you more. I have an iPhone 6 plus and notice that the device has unpaired several times and when I try to pair the devices again it won’t work. I have followed all the steps but still having difficulty. Also when it’s paired and I answer my iPhone I was amazed to hear the caller on the other end was being heard through my Baha on my deaf side. Amazing! If it’s real quiet I can hear, but if noisy I can’t make out the caller. How would I increase the sound on this portion of listening to a caller? Good to hear that you are satisfied with our Baha Attract System. Regarding the issues pairing your phone to the sound processor, we are aware of this issue and we will release a new version of the Baha SmartApp* in a couple of weeks (version 1.0.1). This will resolve most of the connectivity issues you are experiencing. Pair through Settings – General – Accessibility – Hearing Aids on the iPhone. Tap on the name of the processor and tap “pair” when the pairing request appears. Note: It is important to wait for the pairing process to be completed (a series of 6 beep tones will be heard, followed by a ripple tone approximately 20 seconds later, or wait for 120 seconds). Do not start controlling the processors or start streaming before the pairing process have been completed! Reboot your iPhone (Apple calls it “forced reboot) by holding both the “Sleep/Wake” button and the “Home” button simultaneously for about 10 seconds. The phone shuts off and then automatically restarts. Then go to step 4 and re-do the pairing. Once paired you can download the new Smart App and it will help you stay paired, however, it’s important that you keep the app active in the background to allow it to keep the connection to the sound processor. To adjust the volume of phone calls you can use the volume buttons on the phone, or the volume control in your Smart App. *Please note that the app might not be available in all countries. Could you apply for a £6,000 education scholarship? Cochlear UK invites Baha System Implant recipients to apply for the prestigious Anders Tjellström Scholarship Award. The scholarship is awarded on the basis of academic achievement and a demonstrated commitment to the Cochlear ideals of leadership and humanity. (One prize winner). The scholarship award provides a college age student with a grant for tuition, for a student either currently completing their final year of school and who has been accepted onto a university or other tertiary education course, a mature-aged student who has been accepted onto a university or other tertiary education course, or a student currently undertaking a university degree or other tertiary education.